Standing in the center of a former pediatrics office, artist Erick Ledesma can’t hold back his excitement about the future of his new space. Grinning from ear to ear, it’s clear that he sees something in the empty office at 1308 S. Cesar Chavez Drive — its walls adorned with tiny images of green dinosaurs and prehistoric palm trees — that others can’t. Ledesma, a visual artist, acrylic painter and spray paint artist, envisions the former doctors’ office as a communal studio where different rooms expose community members to different art media. He also wants the studio to be a place where people feel welcome to stop by and create. Ledesma is the first-ever Artist in Residence for the Cesar E. Chavez Business Improvement District. The residency program is part of the FARM Project, an effort to make Cesar E. Chavez Drive and the Clarke Square neighborhood a destination for both economic and cultural endeavors. The FARM Project aims to “seed arts” into the community, creating connections among artists, residents and business owners. It has helped organize Ciclovia MKE, the Loteria! and La Siembra art exhibitions and the opening of the Cesar Chavez Drive memorial statue and plaza. “This is a next step to extend the Farm Project further,” said Ian Bautista, executive director of the Clarke Square Neighborhood Initiative (CSNI). Bautista added that Ledesma is fluent in English and Spanish, and “he is fluent in the culture of the South Side — how things operate and how people view themselves in the context of Milwaukee.” Ledesma, who lived on the South Side as a child, also does a lot of work around identity. “It was a good fit,” Bautista said. 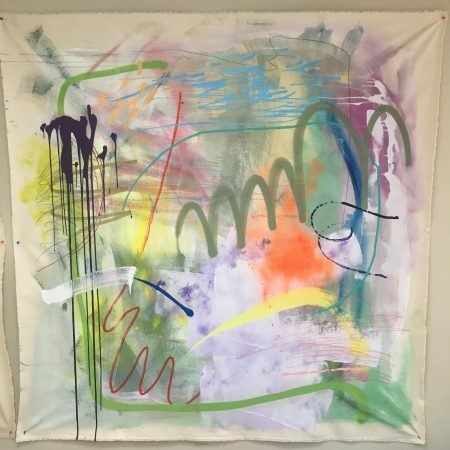 Initially, the plan was for Ledesma to work in the studio from June until October, but as a result of complications securing a space, his residency began in August and will continue through November. The residency is supported by the Mary L. Nohl Fund at the Greater Milwaukee Foundation, as well as CSNI and other donors, including a property owner who agreed to discount the rent, according Bautista. When Ledesma applied for the residency, he proposed creating an interactive piece of artwork comprising masks made by community members. “Growing up in Puerto Rico, I’m really attracted to mask making,” Ledesma said. “I want people to create portraits of their identity with these masks to represent how diverse this community is,” he added. The artwork will be permanently displayed on Chavez Drive. Danielle Nabak, project coordinator at CSNI, said Ledesma brings positive energy to Chavez Drive. “Having spent time here as a child, he feels connected to the community. He’s able to relate to the residents who live here. “In the short time he’s been in the space, he’s been doing great job bringing people who wouldn’t normally come to Chavez Drive as well as community members,” added Nabak, who is working with the newly reconstituted Chavez BID. 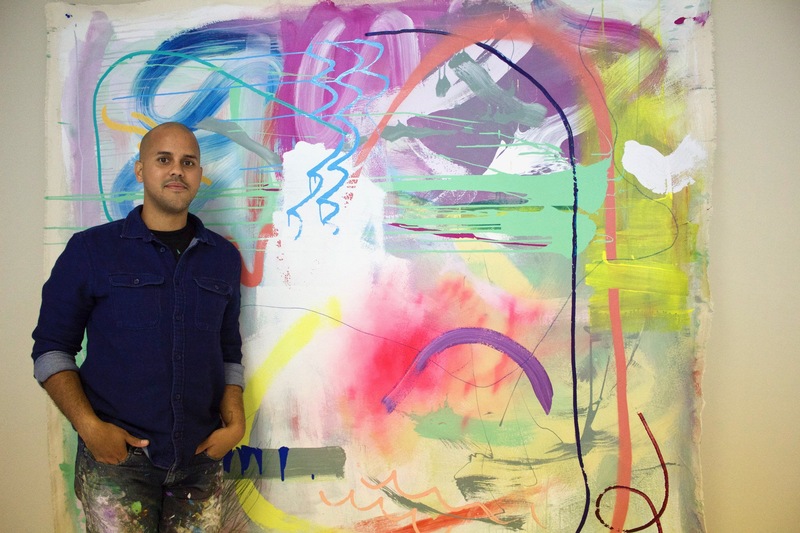 During his residency, Ledesma will create five pieces of his own artwork. Ledesma receives a stipend and $3,000 to use for art materials. His goal for the residency is to help unite the Clarke Square community. “I’ve seen art integrate my community back home in Puerto Rico. You can create unity by coming in contact with your neighbors through physical contact and shoulder-to-shoulder activity,” Ledesma said. Editor’s note: This story has been updated to correct the spelling of Danielle Nabak’s name. We apologize for the error. I will correct. I apologize for the error.